Why does my water taste weird? There are two common causes of weird tasting water: chlorine and sulfur. Each have a different source but both can be fixed with the right filtration system. If the water in your home tastes a bit like pool water, you’re probably not alone. Most water in American homes has some level of chlorine. That’s because municipal water sources use chlorine to kill bacteria and other contaminants. 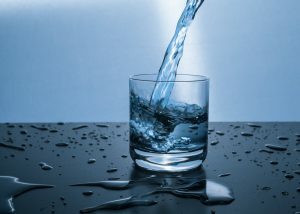 While the EPA monitors the levels of chlorine in water and states the regulated concentration does not cause any harm, the US Council of Environmental Quality reports people using chlorinated water have as much as a 93 percent higher risk of cancer. So while chlorine is a cheap and effective way at purifying water, studies have shown that chlorine is a carcinogen, and even at the low regulated concentrations can increase the likelihood of cancer. Now that you know, the taste of your water might not be your biggest concern! Fortunately, activated carbon filters can effectively remove all chlorine from your home water supply. Testing for chlorine is a simple process and can be done on-site in a matter of minutes. Whether you dislike the taste of your water or want to eliminate the health hazards that come with chlorine, Metro Water Filter can help find the best solution for your home. If your water tastes metallic or sour, you may have significant amounts of hydrogen sulfide in your water. Hydrogen sulfide is easy to detect even in small concentrations because of its bad “rotten egg” smell. However, water only tastes bad when there are significantly high concentrations of hydrogen sulfide present. At this level of concentration, there is a much higher risk for health problems. Hydrogen sulfide is produced by decaying vegetation and can seep into water sources such as wells. Wells built near coal, oil, shale or sandstone also often have hydrogen sulfide. Not only can it make your water smell and sometimes taste weird, it can also corrode silverware, pipes, and appliances in your house. In the worst case, sulfur water may be a sign of sewage pollution and contain dangerous bacteria. Treatment includes iron filters and chlorinators. The most common and effective solution is the use of chlorine bleach in chlorinators. While chlorine itself can become a problem as mentioned above, all of Metro Water Filter’s chlorinators are installed with a carbon cartridge filter to remove the chlorine once it has treated the sulfur. A recent install for a client in Monroe. The well water had several ‘flags’ including Low PH, Manganese, Iron, as well as high levels of Hardness Minerals. We installed the multi-filter system in the pumphouse, and the water is now how it should be- for the entire home! Lake Oconee Platinum Sponsor for the 2019 “The Big Event” is your very own Metro Water Filtration team! Please read the article below. Behind oxygen, water is the most essential need for humans. We drink it every day and often without much thought. Many people have never considered the quality of their water to be a concern. If it’s clear and tastes okay, its fine. However, the eyes and tongue don’t catch everything. 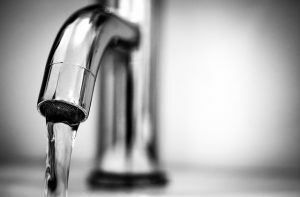 Research has shown that tap water can carry hundreds of different contaminants, often at unnoticeable levels. While drinking a glass of water contaminated at this level won’t harm you, over a lifetime, these contaminants can cause damage to your body. EWG states that tap water can contain “a dose of industrial or agricultural contaminants linked to cancer, brain and nervous system damage, developmental defects, fertility problems or hormone disruption.” While the EPA regulates the level of many of these contaminants, there are many not regulated. Even the water from the best water treatment facility must travel through miles of pipes to reach your home. Water en route can come into contact with various different pollutants and organisms. The best way to ensure the best water quality for your home is to filter as close to the source as possible. Unfortunately, there is not one catch-all filter. It is important to have your water tested so you know which filter you need. As a start, you can visit EWG’s Tap Water Database, or contact your local health department. 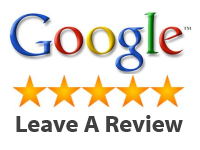 Metro Water Filter also offers both on-site and off-site (more in-depth) testing. Depending on your water source, a professional will know what to test for and what kind of filter will be best for your water. As one of our most basic and frequent needs, water should be as clean as possible. 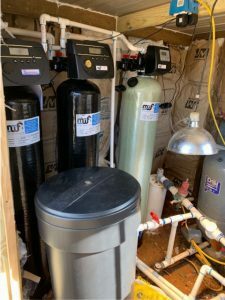 While the EPA and national water system do a good job providing drinkable water, home specific filtration is the best way to provide location specific solutions and ensure the cleanest water.